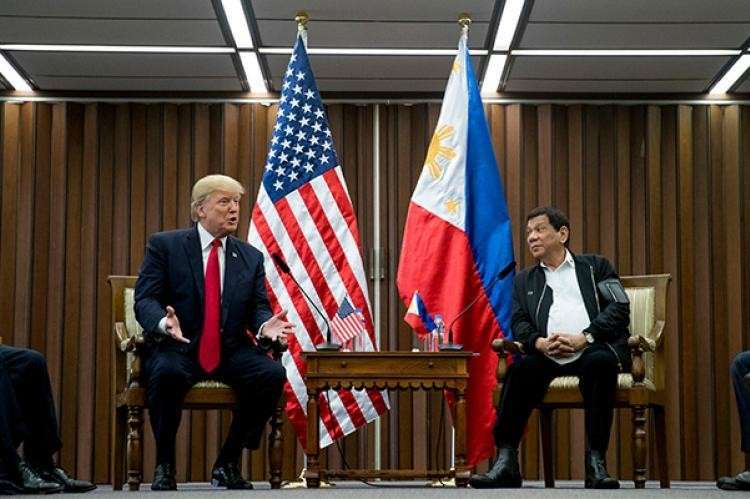 THE United States (US) has pledged to give more than P300-million aid to boost the Philippines's intelligence capability, Malacañang said on Monday, February 11. In a statement, Presidential Spokesperson Salvador Panelo said the Duterte government welcomes the US's commitment, stressing that such assistance would help the Philippines in its fight against terrorism. "We welcome the United States' commitment in fighting terrorism. This shows that our military alliance with the United States remains strong," the Palace official said. "Terrorism knows no boundaries, politics, religion, and creed. It is the new evil in the world that strikes at every country and every continent. We need all the help as every member-country in the United Nations needs the assistance and cooperation of each other to combat and crush terrorism," he added. The US's vow to provide assistance to the Philippines came amid declaration of martial rule in Mindanao. Mindanao has been placed under martial law in an effort to quell insurgency in the war-torn region. The military rule will end on December 31, 2019. Despite the martial law implementation in the southern Philippines, explosions rocked some parts of the besieged region in the past weeks. Panelo reassured that the Duterte administration was on top of the situation. The Palace official said the armed forces are "relentlessly" pursuing the mass murderers, noting that some of them have been "criminally charged and presently detained." "In Mindanao, terrorists have gained a foothold and have unleashed bombs that killed our soldiers and civilians. While the terroristic acts have created fear and anxiety in the inhabitants of the region, they however refused to be intimidated and cowed as they exercised their right of suffrage in the just concluded plebiscite," he said.